A forests peace deal has finally been reached in Tasmania to shift loggers from wild forests into a sustainable plantation industry. Marathon talks aimed at ending a generation of conflict will culminate in the handover today of a statement of principles, already signed by both sides, to the Premier, David Bartlett. The industry bowed to environmentalist demands at the last stumbling block, a clause that restricts the burning of timber as biomass fuel, sources said. Green groups in turn agreed to recognise existing wood supply contracts. The struggle between activists and loggers over Tasmania's old-growth tall eucalypt forests began in the mid 1980s. Despite several federal government interventions that protected more forests and compensated industry, the logging and the protests continued as recently as last week. The roundtable peace process began after a Labor-Green government was elected in Tasmania in April, and as international markets moved against the logging of native forests. Held behind closed doors, the talks involved the National Association of Forest Industries, the Forest Industry Association of Tasmania and the CFMEU from the industry side. Green groups were led by the Australian Conservation Foundation, The Wilderness Society and Environment Tasmania. At its core, the statement recognises the need to protect high conservation value forests and end ''industrial forestry'' of them in a timeframe to be agreed. It still allows for specialty timbers to be logged from these forests, for purposes such as craftwood. It also calls for a move to ''a strong and sustainable industry based on a range of plantation-based industries including a pulp mill''. No mention is made of the controversial $2.2 billion Gunns mill project, and there is no calculation of compensation required, or jobs that will be shed, or gained, by the transition. But it says the state should call upon the Commonwealth to help rebuild the industry to ensure timber communities are able to be more economically resilient than they have been until now. Yesterday another 120 jobs in the timber industry were lost when Gunns confirmed the long-feared closure of a pine sawmill at Scottsdale in the north-east. THE logging industry is split over the clear-felling of native forest. Australia's biggest logging company says the future lies in plantations, while the nation's biggest mill will consider an exit from native forest products and Tasmanian workers will vote on a proposal to end native-forest logging next month. And the Forest Industries Association of Tasmania appears set to sign a deal to end native forest logging by its members. But state government-owned logging agencies VicForests and NSW Forests continue to clear-fell native forest, and peak Victorian native forest industry body, the Victorian Association of Forest Industries, argues native forest logging should continue. Tasmanian Construction Forestry Mining Energy Union forestry division members will vote on "a transition out of native forests which is fair for workers" on November 9-10. CFMEU forestry division national secretary Michael O'Connor said unless there was a "fundamental change in the way the industry operates, it won't just shrink - it will collapse". A spokesman for the owner of Australia's biggest paper mill, Australian Paper, has confirmed the company is "considering" a move out of native forest. Australian Paper sources large volumes of native forest from the Marysville region. Gunns Forestry, which owns mills at Heyfield and Alexandra, has announced it will end native forest logging. A spokesman for Victorian Government company VicForests would only say VicForests worked "within the rules and regulations we're given". VAFI president Bob Humphreys said a ban on native-forest logging would mean imports from "less sustainable industries from other countries" would replace them. He said the Victorian industry employed 25,000 people, a figure disputed by environmental groups. Timber Workers for Forests president Frank Strie said he opposed clear-fell logging, "particularly on sloping terrain". "Many places have run out of good timber," Mr Strie said. "The industry says, 'blame the greenies', but the reality is the good timber is gone. They ran it (the forest resource) into the ground." Judith Wakeman (Letters, 11/10) quotes from Victoria's State of Forest Report 2008, which stated that 9470 hectares of forest are harvested in Victoria each year. This figure is correct, but relates to harvesting between 2002 and 2006. VicForests harvests and regenerates about 5500 hectares of forest each year. This significant reduction highlights the efforts of the native timber industry to ensure our forests are managed sustainably. The letter also refers to figures in the Department of Sustainability and Environment's annual monitoring report of 2007-08. Since then, VicForests has regenerated almost 10,000 hectares across Victoria. VicForests also completed its largest aerial-seeding program in 2009-10, aimed at regrowing forests, including areas affected by the Black Saturday bushfires. 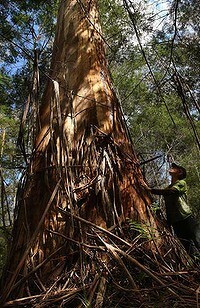 VicForests appreciates more than anyone the need to harvest and regenerate our forests at levels that are sustainable. It is the trees we plant today that will sustain our industry for future generations. AS environmentalists and irrigators dig in for a fight in the Murray-Darling Basin, they should look across Bass Strait, where the Tasmanian timber industry and green groups are on the verge of ending a generation of conflict over the logging of native forests. Both sides say there are details to debate, in particular whether residue from native forests can count as fuel for renewable power generation. But for both sides to want peace at all is an achievement all but unimaginable six years ago, when the state split over the issue at the 2004 federal election. The green south backed Labor leader Mark Latham's promise to protect forests and the working-class electorates of the north supported John Howard, after he committed to the timber industry. It was the culmination of years of conflict, with timber workers demanding job security and activists arguing that clear-felling native forests was vandalism. Now it appears the two sides are accepting the other has a point because economics has provided a solution that always eluded ideology. On the loggers' side, changes were forced on big timber company Gunns by institutional shareholders, worried by its tough tactics in fighting environmentalists and its controversial plan for a pulp mill. Gunns also took over 300,000ha of plantation blue gums from the failed Great Southern company this year, ensuring that the Tasmanian company no longer needs to exploit old-growth forest . While the Wilderness Society indulged in some unseemly crowing last week, saying Gunn's agreement was a "backdown", there is no doubting sober strategists among the environmentalists understand public opinion will never accept a ban on logging altogether, and that the timber company was never going to go away. While it is far too long in coming, this outcome offers hope for the water debate. Despite decades of venom, the loggers and environmentalists both needed Tasmania's forests to survive. It is the same with the Murray-Darling. Nobody benefits if the river system is degraded, just as no one wins if the rivers run a banker but communities along their banks die for want of water. Like the fight over Tasmania's forests, the argument over river use is immensely complex and controversial and will take years to resolve. But the first step to a solution is for all sides to accept that ultimately they will have to compromise, so why waste time with non-negotiable claims? Nathan Trushell assures us (Letters, 9/10) of the success of VicForests' regeneration program, but the latest Department of Sustainability and Environment report, Monitoring Annual Harvesting Performance in Victoria's State Forests, estimates that 19,000 hectares are overdue for regeneration surveys, and that a further 7191 hectares ''require additional effort for successful regeneration''. These figures do not include the effect of fires in 2006 or 2009. Mr Trushell also assures us that the regeneration is maintaining biodiversity, yet on its website, under the headings of topics like ''monitoring change in species composition'', ''monitoring stocking survey success'' and ''monitoring root regenerating species'', it reports that ''results are still being collected''. 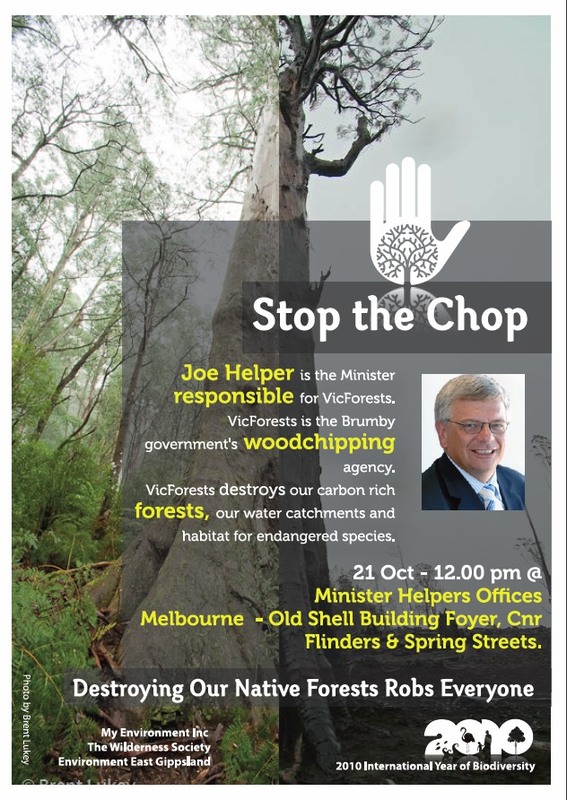 Furthermore, Mr Trushell states that VicForests harvests 5500 hectares of native forests each year but Victoria's State of the Forests 2008 reports that 9470 hectares of native forest are harvested each year. Who do we believe? On October 1, I went to East Gippsland with former forest activists to see Environment Minister Gavin Jennings proclaim the protection of high conservation forest areas in East Gippsland. These forests included Goolengook, Yalmy and Dingo Creek. It was a great day for the thousands of people who worked very hard for well over a decade to finally see important rainforest and old-growth forest protected. The sacrifices to achieve this have been huge. Between 1997 and 2002, about 250 people were arrested trying to stop clearfell logging at Goolengook. A bitter court case was successfully fought by a few individual activists to prove logging at Dingo Creek was unlawful. For the thousands of people who made a stand for the forests in East Gippsland, I say very well done. However, some peak conservation groups are unhappy, as they want to see a total ban on all native forest logging. The Wilderness Society described the protection as ''a very good step'' but at the same time belittled the significance of the outcome with dubious arguments. For example, the Wilderness Society claims a cow paddock has been protected. This is in reference to a field a bit bigger than just a few hectares included within the 45,000 hectares the state government has now added to the existing East Gippsland reserves. So what? Maybe a good location to have a picnic and kick a football? The Wilderness Society also falsely claims that the forest within ''special protection zones'' is safe from logging. These informal reserves have no legal protection. They can be unlocked for logging based on a recommendation from the minister of the day. A review of the informal reserve system in East Gippsland is occurring right now. The loggers want more of the zones unlocked for logging and they have support from the Coalition to do just that. It was also disappointing to hear MP Greg Barber, on behalf of the Victorian Greens, declare in Parliament that the legislation to protect Goolengook and Dingo Creek is nothing more than a broken promise. In his half-hour parliamentary speech last December, Mr Barber made no reference to the huge personal effort made by thousands of people to protect these areas. It would be nice if the Greens, every now and then, could give credit and recognition where it is due. Contrary to Jill Sanguinetti's letter (7/10),VicForests harvests 5500 hectares of forest in total across Victoria each year. This equates to less than 0.1 of a percentage point of our state's 7.8 million hectares of native forest. VicForests then re-sows every hectare with seeds from the local region to maintain diversity. Rather than creating a monoculture, this process ensures the same mix of species present in each area grows back following harvesting. The area permitted to be harvested in Victoria each year has reduced by more than 30 per cent over the past decade, further helping to ensure the sustainability of our forests. When will people understand that scouring our native forests and turning them into virtual silvicultural plantations through monocultural seeding amounts to permanent loss of habitat? The .05 to 1 per cent of forests logged in any one year (Letters, 6/10) refers to all forested areas in Victoria - including privately owned land, degraded remnant forests, national parks and dry, open woodlands in the west of no interest to the timber industry. It is small pockets of mature, biodiverse, wet forests where the endangered species actually live that are disappearing at an alarming rate. VicForests focuses on mature mountain ash forests in the Central Highlands. It says that 66,000 hectares are available for logging there - and that it plans to clear-fell 5500 hectares of that next year. At this rate, it will all be gone in 11 years. How sustainable is that? A TINY, two-centimetre frog, a mouse with a white-tipped tail and a white-flowered rhododendron are among more than 200 new species discovered in remote mountain rainforests of Papua New Guinea. The findings included two new mammals, 24 species of frog, nine new plants, nearly 100 new insects and about 100 spiders. 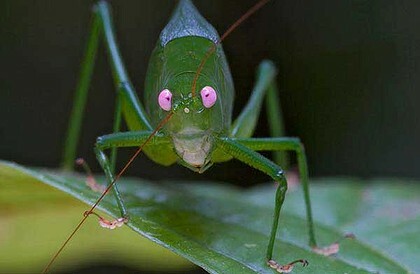 The mouse with the white-tipped tail, at least one ant and several crickets, or katydids, are so different from other known species they each represent an entirely new genus, the scientists said. Two scientific teams — co-ordinated by Conservation International's rapid assessment program, in partnership with Papua New Guinea's Institute for Biological Research and the conservation organisation A Rocha International — explored different altitudes of the forest-cloaked Nakanai mountains, which host cave systems and some of the world's largest underground rivers, and the Muller range. In the Nakanai surveys, scientists discovered a yellow-spotted frog, found only high up in the mountains in the wet rainforests, the mouse, and the tiny ceratobatrachid frog, which is just two centimetres long and calls for a mate in the late afternoon — unlike most frogs in the area which call at night. In the Muller range, researchers found what they described as a "spectacular variety" of insects, spiders and frogs. The scientists hope the discoveries will help secure World Heritage status for the two areas, in the face of pressure on PNG's forests from subsistence agriculture, logging and oil palm production. Conservation International has been working with the provincial government and local communities in the Nakanai range to protect a large tract of rainforest from logging. I agree with Jill Redwood (Letters, 5/10) and her concern for our forests and their wildlife, but I disagree with the impact that she attributes to logging. In the past seven years, about a third of Victoria's forests have gone up in smoke due to wildfire. In the same period, less than 0.5 of 1 per cent has been logged. Minister Gavan Jennings may be making more national parks to ''save'' our forests (and marginal Labor seats in inner Melbourne), but this is not the same as fireproofing them. THE Central Highlands forests and endangered wildlife are being hammered by the same ruthless management that is destroying East Gippsland's forests (''Hello, possum - you're an emblem of extinction'', The Age, 2/10). This story shows how close to extinction these small possums have become under our government's close watch, with expert advice. It shows what a stranglehold the logging industry has on the Brumby government. We're supposed to believe VicForests searches for hollows before logging starts. What an insult to the public's intelligence. This industry and its pimps in government need to be hauled up before an environmental crimes commission. Last Friday the state government declared a set of national park extensions in East Gippsland. The inclusion of Goolengook is particularly welcome after a 15-year campaign for its protection that included a five-year forest blockade. Also welcome is the inclusion of a link between the Errinundra and Snowy River national parks. It's a relief to see a national park created with the aim of linking areas, rather than another set of tiny islands of protected forest that won't survive long term. Credit is also due to the main groups that provided support to this campaign, namely the Goongerah Environment Centre, Friends of the Earth Forest Network and its successors, and the Victorian Rainforest Network. As always, not everything we hoped for was included. Like many, I grieve for the huge areas on the Errinundra Plateau that have already been logged, and the parts of Goolengook logged in 1997 and 2002. But given the impossibility of changing the past, Gavin Jennings has made a wise decision. I thank him for it. The Leadbeaters Possum and Victoria’s other amazing wildlife have been evolving on this small patch of the Earth for millions of years. The lifespan of a logging industry or government is a blink in comparison. How sad Mr Brumby seems happy to let our state emblem become extinct. What hope for the rest of Victoria’s rare and threatened wildlife? As dismaying as the critically endangered status of Leadbeater's possum is the fact that VicForests has been entrusted with its protection. Like many extraction industries, forestry has been successful in cultivating its regulatory bodies, as well as politicians, even to the disastrous extent of gaining formal self-regulation in Tasmania. To loggers, the avoidance of threatened species habitat is a costly nuisance. A nocturnal animal as discreet as this possum is easy to miss, particularly by those who don't really want to find it. 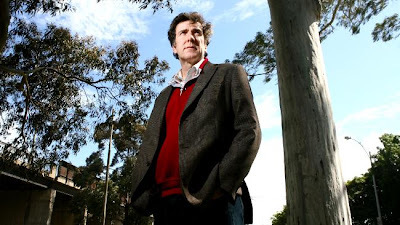 HIS zeal for an end to sustainable catchment timber harvesting obscures the facts for David Lindenmayer (''Hello possum, you're an emblem of extinction'', The Age, 2/10), who states ''forestry is the key threatening process'' endangering habitat for Leadbeater's possum. As the article states, Leadbeater's possum was rediscovered in 1961, in Central Highlands forests ravaged by fires in 1939, recovering to a population of 8000 despite 150 years of timber harvesting. Lindenmayer and many others have previously identified fire as the ultimate determinant of forest structure in Victoria, while arguing for an end to timber harvesting in native forests. They have thus identified a supposed solution that will have no effect on fire as the primary cause of habitat change. In his book On Borrowed Time, Lindenmayer argues for improved fire management to protect our forests, a commonsense argument recently accepted by the Victorian government. Leadbeater's possum and other forest species will benefit enormously if their habitat is managed for the primary risk potentially affecting tens of thousands of hectares of habitat on a single day, as we saw on Black Saturday, rather than campaigns against socially beneficial timber production spread over a few hundred hectares in an entire year. AT 5am the loggers would roll in. The activists were ready: locked to bulldozers, lying on platforms in the giant trees, waiting for the headlights, deep in the Goolengook forest in East Gippsland. The decades-long struggle over the Goolengook, which raged between environmentalists, the state government and loggers, culminated on Friday in a kind of coming together. On one of those dazzlingly crisp days, Environment Minister Gavin Jennings, surrounded by former protesters and traditional owners - but no loggers - officially launched the new East Gippsland National Park. The park covers 45,000 hectares, including the contested Goolengook that is home to 400-year-old trees and rare and threatened species such as the long-footed potoroo, spot-tailed quoll, powerful owl and slender tree fern. Traditional owner Aunty Rachel Mullett thought the park declaration would never happen. Mr Jennings said the government had threaded "the eye of a needle" in balancing the interests of loggers and environmentalists. But, of course, compromise also means everyone is left a little unhappy. The government estimates 63 per cent of the new park is old-growth forest; the Wilderness Society claims it is only 33 per cent. Forest campaigner Luke Chamberlain of the Wilderness Society said the park was "a very good step in the right direction". But many areas included in the park had already been logged, other areas were already protected from logging as "special protection zones", and the reserved land included a cow paddock. Mr Jennings said the so-called paddock was ''a meadow of rare and endangered vegetation that has high conservation value''. He also said national park status was more permanent than special protection zones and suggested that activists were remaining critical as a tactic so that they could lobby for more areas to be protected. The government has promised the logging industry that the East Gippsland park will not mean a loss of timber resources or jobs, with Mr Jennings claiming the area is "not necessarily that great for logging" - but loggers beg to differ. Victorian Association of Forest Industries chief executive Philip Dalidakis said it was "environmental hypocrisy" that society demanded parks but was not willing to cut its consumption of paper and wood. He said that as the timber industry was pushed out of Victoria, it went overseas to countries with far fewer regulatory controls. "I'm not sure that jumping up and down celebrating a reserve in Victoria benefits the orang-utans in Indonesia." A co-ordinator at Timber Communities Australia, Trevor Brown, was sceptical about the promise of no job losses. He said the park area was valuable for saw logs and pulpwood, "the eye fillet and the mince meat" of the timber business. "It is just another kick in the guts for the industry." Mr Brown said the Gippsland activists had endangered loggers' lives for years and stopped them from earning a lawful living. But that was all history now. "I think you can only look forward to the future and hope there is one," he said. On that point, the environmentalists and loggers agree. IT IS not every day you get a chance to make an animal extinct twice. According to scientists, Victoria is steadily working on it. Leadbeater's possum, a marsupial endemic to native forest on Melbourne's fringe, was declared extinct in the 1950s, apparently wiped out by agricultural land-clearing around the Bass River in South Gippsland. It was rediscovered near Marysville in 1961 - an event considered so momentous it was chosen as one of the state's two faunal emblems. Its population peaked at about 8000 in the 1980s, but the last possum in captivity in Victoria died in 2006, and last year's Black Saturday bushfires devastated its main home in the central highlands, burning 42 per cent of the permanent reserve system in which it lives. Leading scientists say its survival is now at risk from the state's forestry industry, particularly the ongoing "salvage logging" operation aimed at maximising timber yields from blackened areas. Six weeks after Black Saturday, in a report seen by The Age, a US Burned Area Emergency Response team and Victorian bureaucrats advised the Brumby government that extreme care was needed during the salvage logging of large hollow-bearing trees that give the possum its home. Scientists working in the central highlands claim this advice has not been followed. 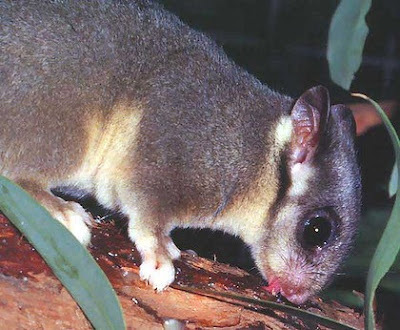 David Lindenmayer, an Australian National University ecologist who has spent 25 years studying the possum, says that trees are regularly felled in areas important to the survival of Leadbeater's possum and other threatened species of possum, glider and bird. While fire can be an effective way of creating the old-tree hollows that the possum thrives in, Professor Lindenmayer says some have been removed - at times through breaches of the Central Highlands Forestry Management Plan, which prohibits logging of pre-1900 trees. He says the animal is being pushed ''incredibly close to extinction'' by the removal of its habitat through a combination of fire and salvage logging, and 40 years of clear-felling of unburnt forest. ''Forestry is the key threatening process,'' he says. ''Basically you have a part of the landscape that is non-functional for an animal, and then you add another one and another one. You may reach a stage where the entire landscape is essentially non-functional for animals to live in. Professor Lindenmayer's concern is shared by Melbourne Zoo threatened species biologist Dan Harley, who earned a PhD studying a relic population of possums in Yellingbo Conservation Nature Reserve. "Tree hollows suitable for Leadbeater's take more than 200 years to form," Dr Harley says. These claims are vigorously contested by VicForests, the state government forestry agency. It has rejected a claim by environmentalists, formalised in a complaint to the state Ombudsman, that it has illegally logged pre-1900 mountain ash, putting the possum at risk. Michael Ryan, a VicForests forest scientist, says field surveys are carried out to check for potential Leadbeater's possum habitat before logging, and an exclusion zone created where necessary. He says there is also ''an extensive conservation reserve system'' designed to protect the possum. VicForests is required by law to leave untouched any three-hectare area with more than 12 hollow trees, and retain four to five trees a hectare in all logged areas. Mr Ryan says clear-felling is used to replicate the natural regeneration process only. The debate over the impact of salvage logging comes amid a bigger argument about the future of the native forest industry - and whether an impending decision on Tasmania's forests could put pressure on the Victorian government to consider a similar commitment. Dr Harley estimates the population of Leadbeater's possum outside the central highlands would total fewer than 100, restricted to tiny pockets at risk from the next major bushfire. For at least the third time, the Government today announced the new additions to the reserve system in East Gippsland. The ALP’s 2006 election promise was to protect ‘the last significant stands of old growth planned for logging’. But environment groups say that most of what has been protected was either in existing protection zones, had already been logged or was degraded forest unwanted for logs or woodchips anyway. “We’re pleased some areas of old growth have been put into National Park, but they account for only about one quarter to a third of what the state government is claiming has been saved from logging”, said Jill Redwood from Environment East Gippsland. “The new parks announcement today is at least a start.